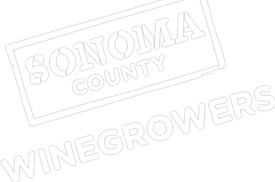 The Sonoma County Winegrowers is sponsoring a workshop for grape growers and wineries on 2013 Harvest: Grape and Bulk Wine Market Update and Trends. The workshop will be held on Thursday, August 15, from 4:00-6:00pm at the Hilton in Santa Rosa located at 3555 Round Barn Blvd., Santa Rosa. Check-in begins at 3:45pm. Glenn Proctor of Ciatti Company will speak and answer questions on current market trends regarding the demand for bulk wine and grapes; bulk wine inventory update; and, current crop size estimates and crop quality after the growing season’s rain and intense heat events. He’ll also discuss the current situation with custom crush and winery processing capacity. Karissa Kruse, president of the Sonoma County Winegrowers will present a preview to Sonoma County Branding 2.0 and the sustainability initiative. For questions or information contact Karen at 707-522-5862 or [email protected].